We always bring our boy to libraries due to his love of handling books. 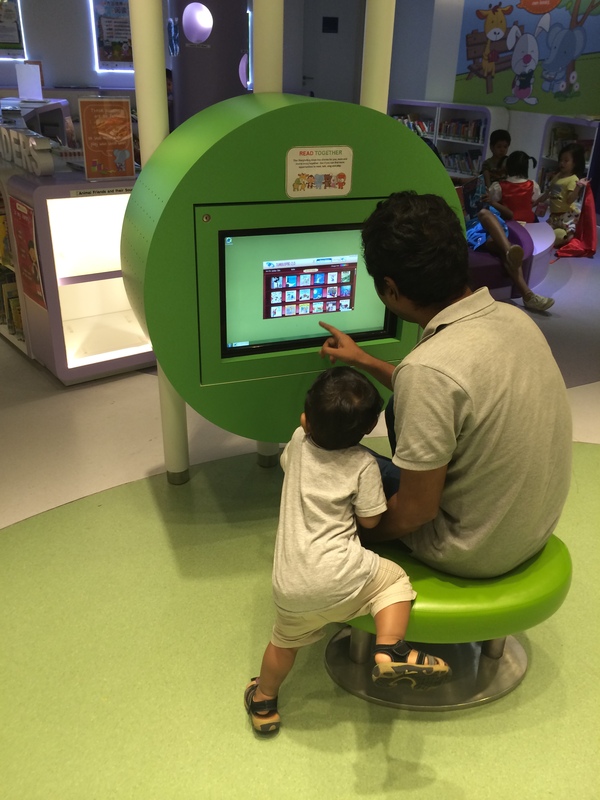 We have been to a few regional libraries in shopping centres from the time he learnt to crawl and pull to stand. He will pull the books out of the shelves and flip them. Sometimes he will just pull the books off the shelves and we always have a hard time putting them back. Later on when he started to walk, he will walk all over the place and make quite a bit of noise disturbing the other library users. 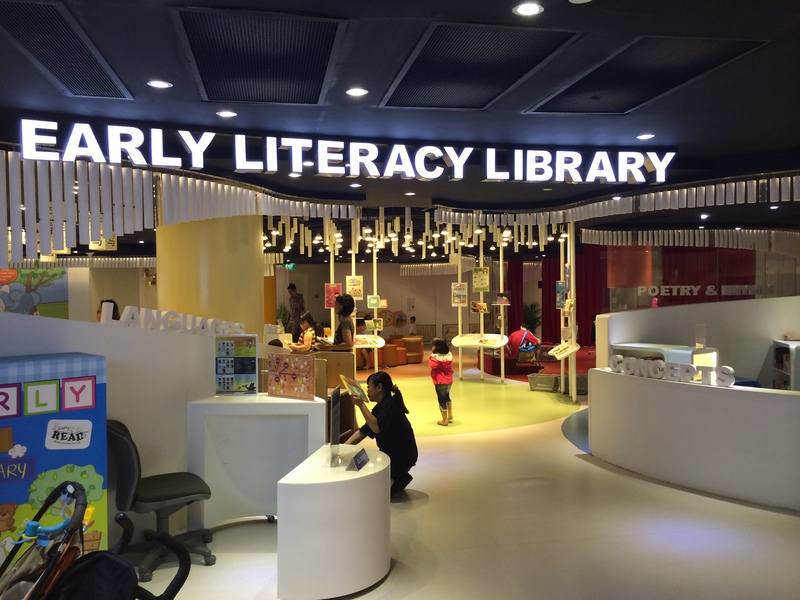 We regret not finding out about the Jurong Library earlier. It was the answer to our dreams. The kids have a floor all to themselves! The toddlers have their very own area, and it is a very very large area. It is not library silent and there are chatters here and there. There are even play areas for the toddlers and this includes a dress up area with costumes provided and mirrors to check themselves out. 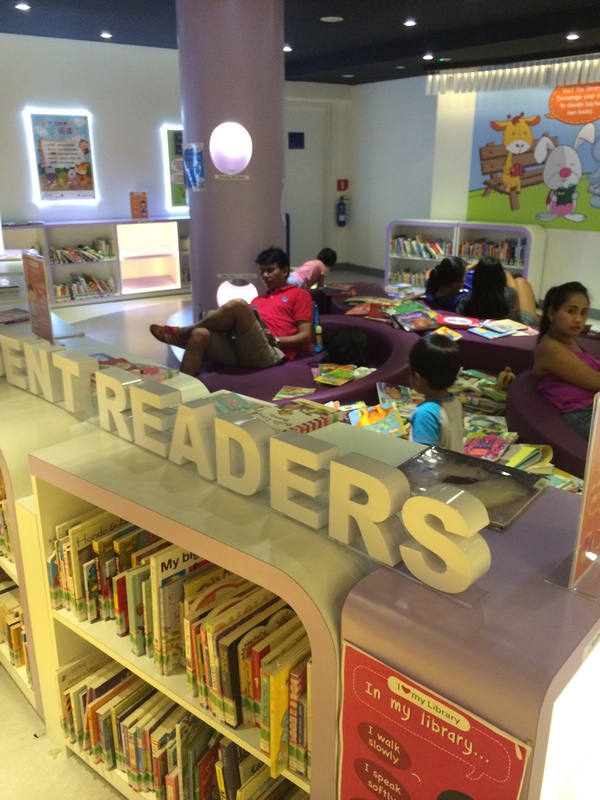 At the toddlers and younger kids areas, parents are seen reading to their kids or the kids are trying to read aloud with their parents’ help. 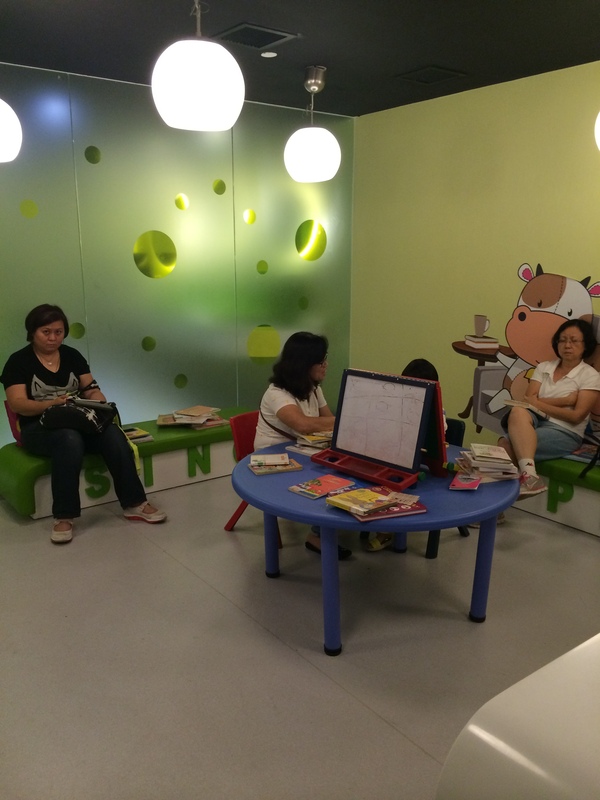 At the older kids areas, parents are seen giving tuition to their children while they complete their assessment books. 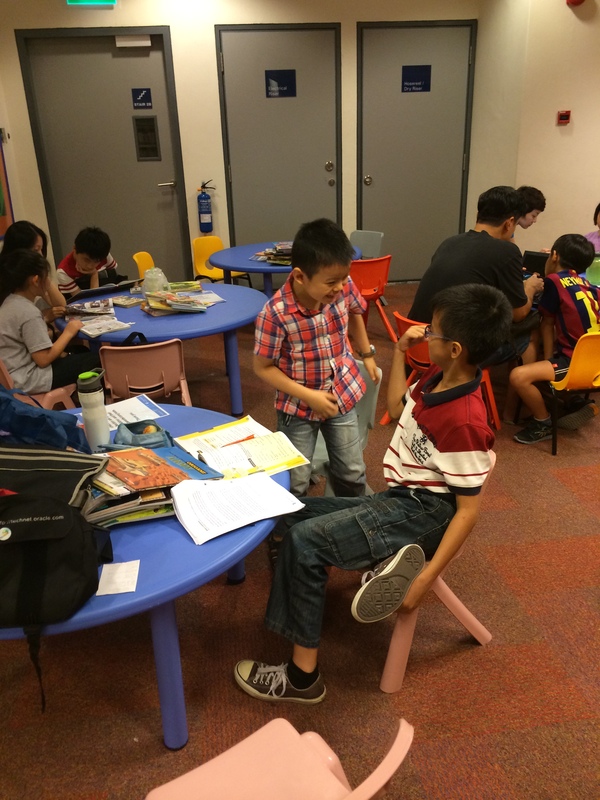 It is overall lively but yet conducive for the older ones to do their work.The bad side is probably that the books are all over the place and the librarians are sure to have a hard time sorting them out. The books though are surprisingly in very good condition and when we borrowed 8 books home, my auntie thought we bought new books! This is the section to the kids area. As you can see from the picture, it is brightly lit, decorated with bright colours and is very welcoming to the children. Very comfy areas for the kids to lounge and read in. It is also ok if a little mess is created though I think parents should teach the kids to put the books back after reading. Some toddler fun that you usually find in indoor playgrounds can be found here! This is the dress up area that I mentioned earlier. There is a box for costumes and also a rack with some hanging there. Large full length mirrors are available for the kids to check themselves out. There are a few children wearing them and cat-walking around so it may seem like there are few costumes available. Interactive media for the kids to meddle with. It is touch screen and have games for them to play with. These chairs are too comfortable that adults/teenagers use it too. 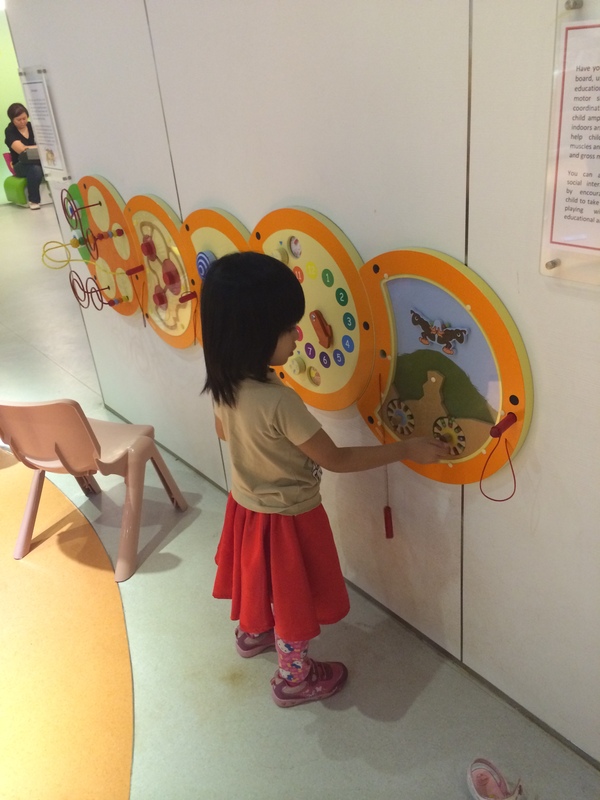 In the older kids areas, many are seen engaged in what they are doing with minimal noise. These are afterall set up as discussion areas. It is nice to see parents teaching and guiding their children whether in reading or writing or completing their homework. 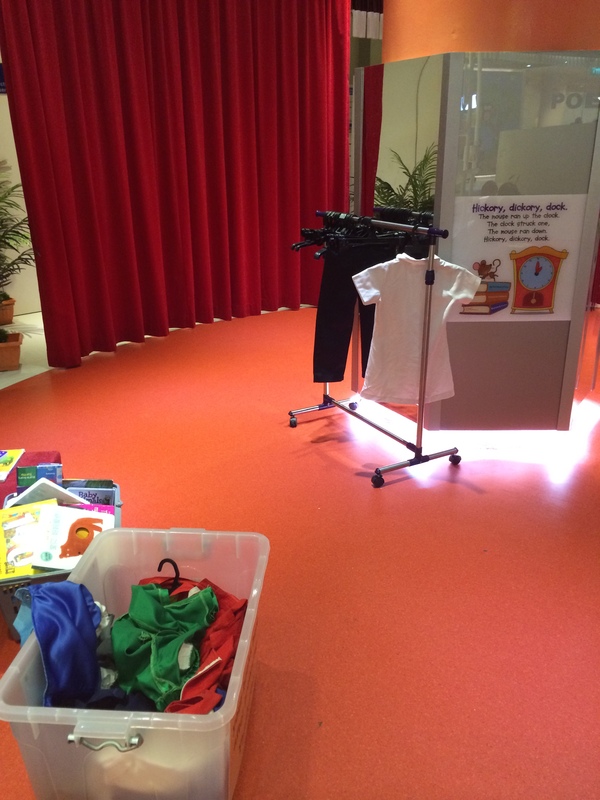 There is a small drawing corner but no kids are seen using it. 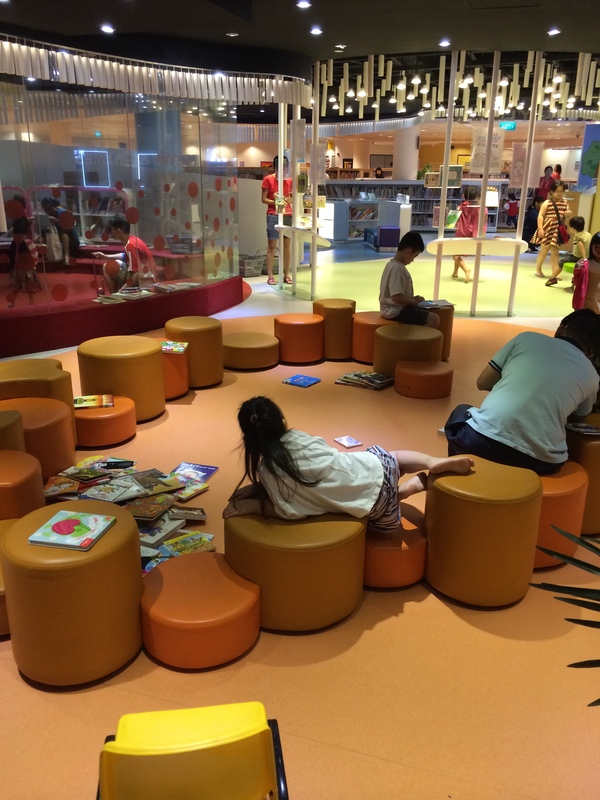 Some adults were using it as a rest area. 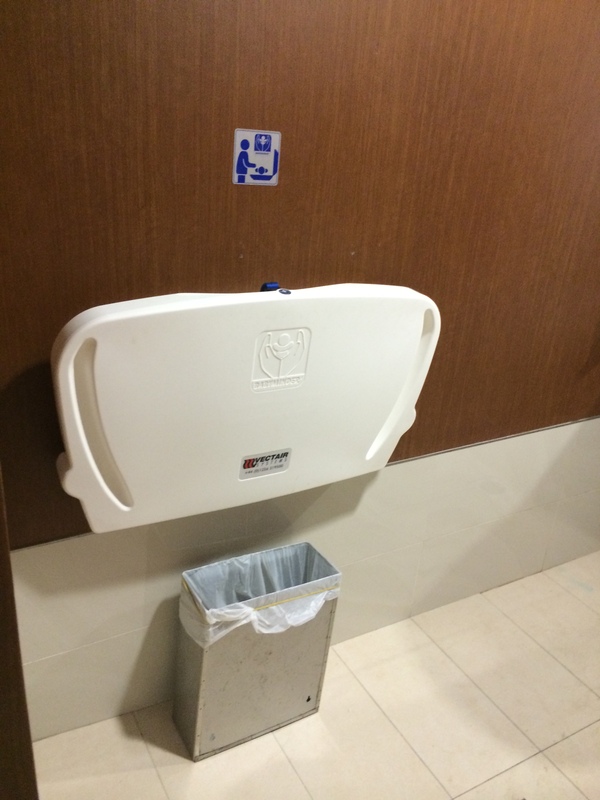 A nursing room (1 cubicled) is also available in case there is a need for a diaper change.